Of Tonawanda, entered into rest January 20, 2019. Beloved wife of the late Joseph J. Coray; devoted mother of Catherine (Joe Daly) Coray; Joanne (Domenic) Luciani and Gigi (Jeffrey) Jankowski; cherished grandmother of Emerson, Carolina (Joshua), and Domenic; loving daughter of the late Michael and Catherine McInerney; dear sister of nine brothers and sisters, predeceased by seven brothers and sisters; also survived by many nieces and nephews. 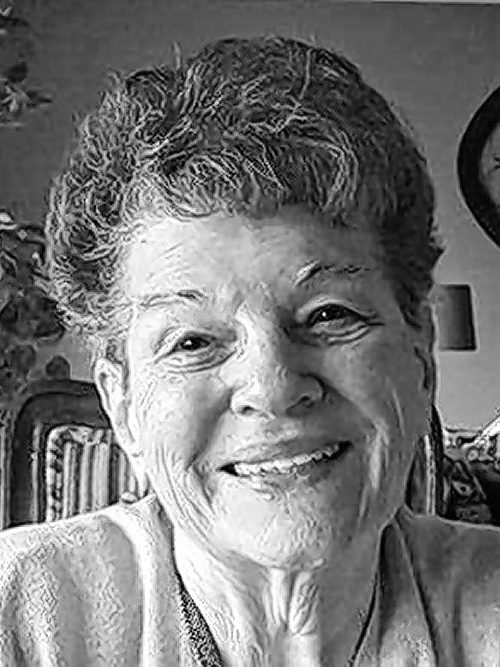 Relatives and friends may visit the lombardo funeral home (Northtowns Chapel), 885 Niagara Falls Blvd., near Eggert/Sheridan Dr., on Thursday from 4-7 PM. A Mass of Christian Burial will be celebrated at St. Amelia's Church, 2999 Eggert Rd., Tonawanda, on Friday morning at 9 o'clock (please assemble at church). Entombment Mt. Olivet Cemetery. Online condolences may be shared at: www.lombardofuneralhome.com.